Carnival Cruise Lines and the Port of Baltimore have announced that the Carnival Pride will resume sailing from the American port year-round starting from March 29th 2015. This is great news for cruisers in the region! The Carnival Pride will be doing seven-day cruises to the delight of passengers. The ship is already based in Baltimore but will move down to Tampa, Florida in October 2014 to do winter season cruises until it makes a return back up to Baltimore in March 2015. Before the Carnival Pride makes a return it will undergo a major multi-million upgrade which will add all the popular FUN 2.0 improvements including Guys Burger Joint which recently got top honors in Porthole magazines Editor-in-Chief Awards. To go along with all the usual upgrades the ship will have new gas exhaust cleaning technology installed which will be a benefit to the environment. Several other Carnival ships already have the new technology installed. 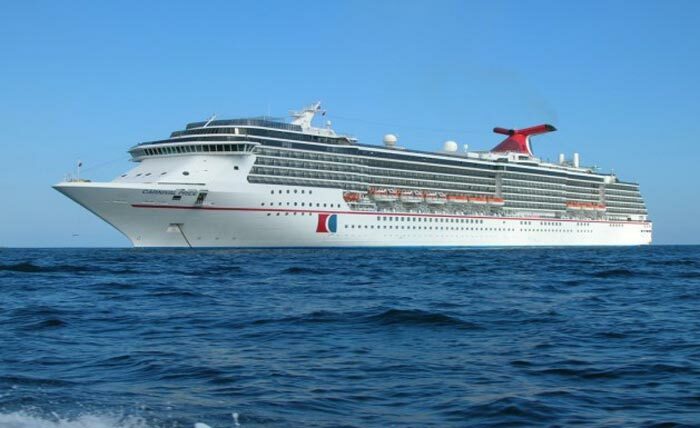 To get the new FUN 2.0 upgrades Carnival Pride will spend three weeks in Dry Dock from October 19th to November 9th 2014. Carnival Pride will be sailing two different itineraries, Lets start with Eastern Caribbean sailings making calls at Grand Turk, Carnivals private island in the Bahamas Half Moon Cay and Freeport. The other seven-day voyage will make stops at Port Canaveral, Florida, Nassau Bahamas and then again Freeport which is also in the Bahamas. So both itineraries will be mainly based in the Bahamas. Before the Carnival Pride starts sailing from Baltimore in 2015 it will be doing a special one time re-position cruise which passengers can enjoy. Setting sail from Tampa in Florida on 15th March 2015 and then ending in its new home port of Baltimore on March 29th 2015. It will be a 14-day cruise making calls at some amazing destinations in Central America and the Caribbean.